← Idea Paint: Where Would YOU use it? 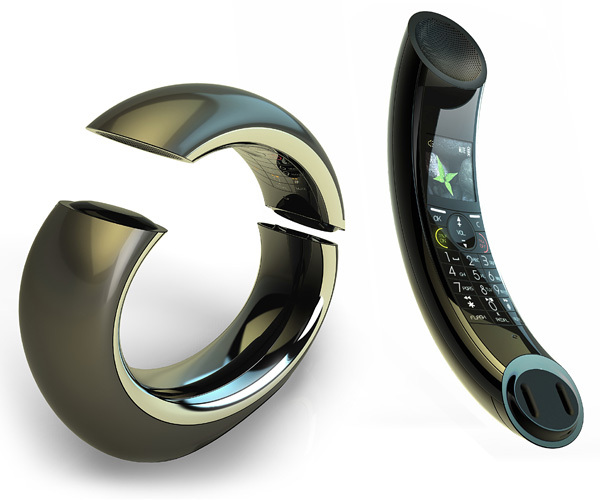 The Eclipse DECT Wireless Home Phone looks like something straight out of the movie Minority Report. It consists of a base unit and handset embedded together in a single and continuous ellipsoidal form. With no visible signs of a display or keypad, the Eclipse conforms to the minimalist school of thought in design. It features a crystal clear display and High Quality Duplex speakerphone. It’s visual appeal is truly undeniable. Where can I buy this georgeous phone? There is a SOURCE link at the bottom left hand side of the article that may help you find it. That phone is REALLY amazing looking.